Scales, a timer, a spittoon, a cup to rinse one’s mouth between two liquors if necessary, a shaft of light; everything is ready. Admittedly the building itself is showing signs of wear and tear, but that’s not important; Namring teas retain their incredible aura and I’m about to taste the best of the third-flush, or autumn, pluckings. In Japan, when you receive a gift, you don’t open it. You don’t feel the need to. First, you admire the wrapping, then you thank the person who has given it. You are touched by their attention. You are very happy. You still don’t open it. This year, what if we too were satisfied with the happiness of receiving a gift, without wondering what it was? What if we took the time to experience fully this wonderful moment, when someone shows us how much they care? There’s a tea for everyone. 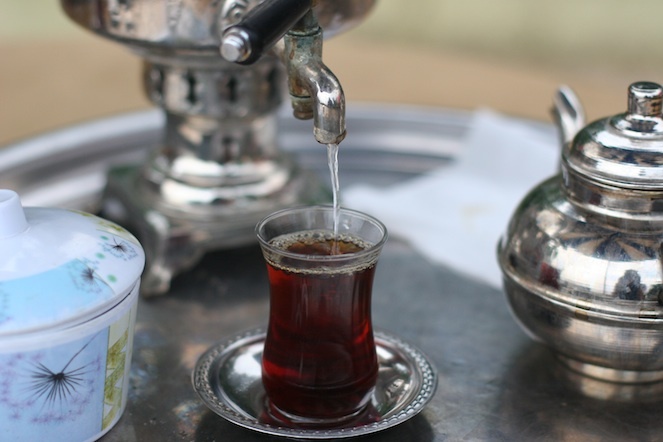 Our Turkish friends drink it boiling hot, at any time of day or night, generally out rather than at home. You start by pouring a little tea extract, which is particularly strong, into the glass. Then you dilute it with hot water from the samovar. And you pass the time talking about this and that, glass of tea in hand. Or you watch a football match in the local café, either holding your glass of tea or placing it on the table in front of you. 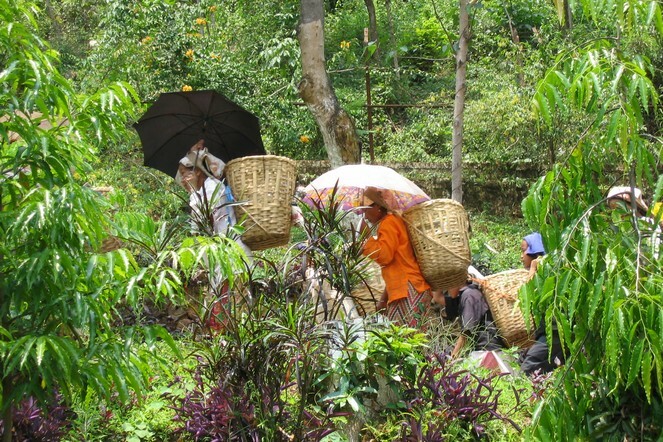 Nothing looks less like a tea plantation than another tea plantation. 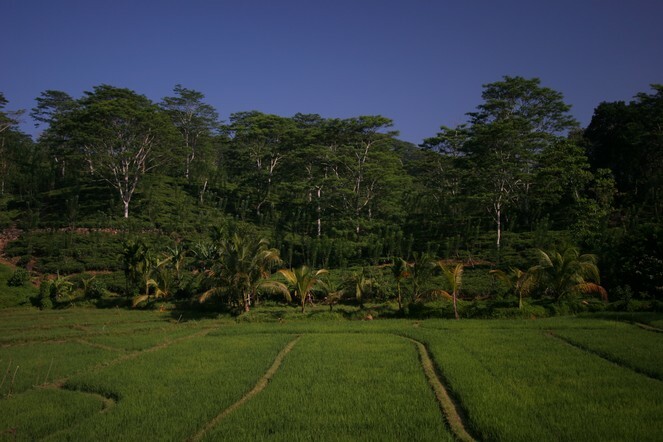 Here, in the south of Sri Lanka, tea bushes occupy the hills beside a paddy field and other different crops. Hence these subtle and evocative tones of green and yellow. 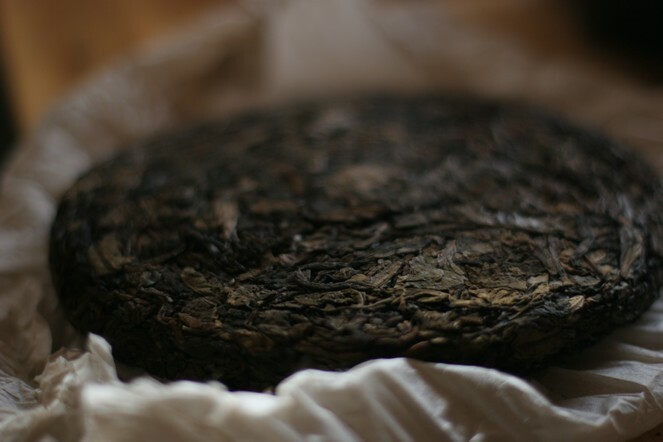 2007 saw the start of a spectacular craze for pu er in China. In the space of a few weeks, this previously barely-known tea became the subject of frenzied speculation, and it took two or three years before prices came down again. Now it seems this same phenomenon is about to be repeated. Once again, the Chinese are queuing up to buy cakes of this tea, which is said to improve with age. As before, the cause is speculation. At the Canton Tea Fair, which has just taken place, we saw pu er cakes selling for over €1,000 each. 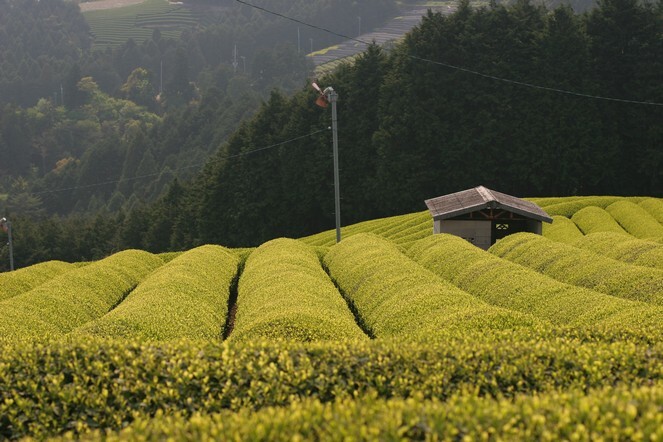 Because tea plants don’t like frost, Japanese tea fields are populated by strange shapes. When their blades are turning at the top, these fans prevent freezing air from stagnating above the bushes. To appreciate a tea as fine as the Taiwanese “Black Pearl” I recently selected, there are two options: either use your usual teapot, or prepare it according to the Gong Fu Cha method. 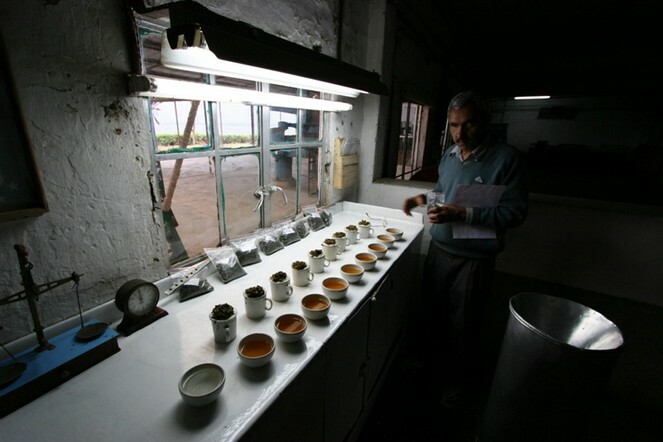 This involves placing the tea in a very small teapot and steeping the same leaves several times in succession. It is a different way of discovering the rich aromas of this fine tea, whose fairly sweet notes make it perfect for the season. The day after the opening of the new Palais des Thés store in Bordeaux, I have chosen this photo with a nod to the region’s vineyards. 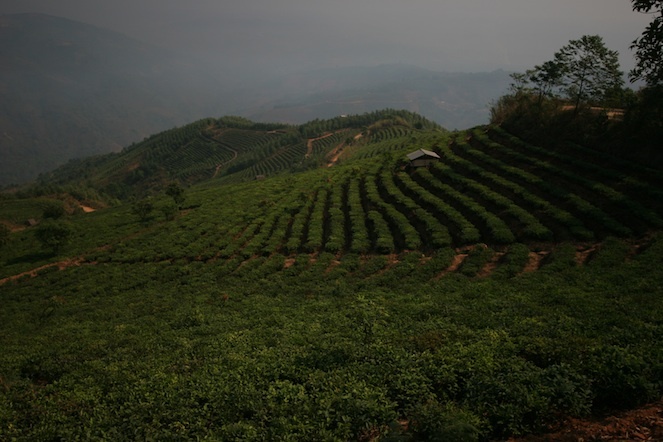 I know the topography is different, but I must say that tea bushes and vines are very similar in terms of the lines they form within the landscape. There are many ways to make tea and to drink it. Some ceremonies must be learnt, like the Japanese Cha No Yu. Other rituals have rules that are no less specific, like the British, Chinese, Moroccan, Tibetan and Russian customs, and many others. 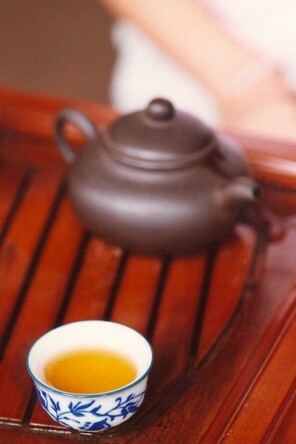 But we should never forget that for a quarter of the inhabitants of our planet, tea is the most simple drink there is. 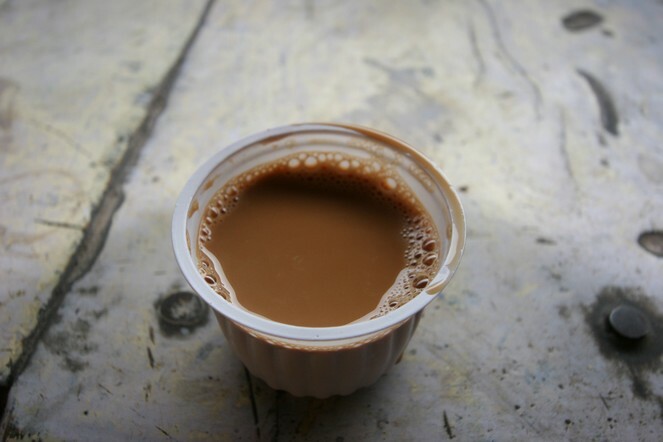 It is consumed without fanfare, anywhere, at any time of day or night; it is the most obvious thing in the world, both delicious and comforting; it is served in the street; it is tea, plain and simple. 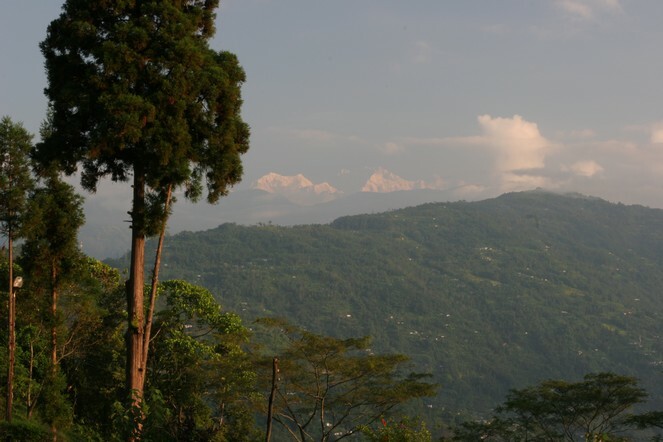 For those dreaming of travelling through beautiful scenery, the month of October fulfils that promise in the regions south of the Himalayas, like here in Darjeeling. After several months of intense heat, storms and torrential rain, a clear sky reveals the highest peaks.